Northeast Texas Community College Board of Trustees voted to appoint Frankie King, of Pittsburg, to fill a vacant board seat at their regular January meeting. King will serve in Place One, which became available after Jerry Webster retired from the board in December. King is a general partner in Texas Country Farm Supply in Pittsburg and Mount Vernon, and he currently serves on several local and regional councils. 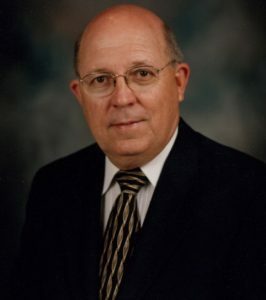 He served in the Texas Army National Guard and worked for Pilgrim’s Pride Corporation for 42 years, where he retired as the Vice President of the Commercial Egg Division. King brings with him 12 years of previous educational experience as a member of the Pittsburg ISD school board. “I’m excited about serving on the board. Northeast Texas Community College serves an important role to help the youth in our community enhance their lives through education,” King said. King is a native of Camp County and a graduate of Pittsburg High School. He earned a Bachelor of Science Degree from Texas A&M University. He and his wife, Henrietta, are members of the First United Methodist Church of Pittsburg. King will serve in the Place One seat until the next election in May 2020.